Swap the gym for the open road and make your next holiday a cycling adventure. A world away from the furious pedalling of a spin class, travel adventures on two wheels are an exciting way to combine exploration and exercise. While the destinations are endless, we’ve picked just a few fabulous locations to get you inspired. 2014 marks the 10th anniversary of New Zealand’s iconic Forrest Grape Ride, taking place next year on Saturday 5 April. Over 2,500 cyclists, nature enthusiasts and wine devotees will descend on the South Island’s Malborough region to participate in this scenic 101km circuit ride. With a variety of distances offered – the 42km (Taster), 202km (Magnum) and the 505km (Ultimate) - there is an event to suit all cycling abilities. Beginning with a flat trip across to Blenheim, riders then journey the undulating passage north to the picturesque coastal town of Picton. New Zealand’s mussel capital, Havelock, is up next, home of the green-lipped mussels and sitting at the head of Pelorus Sounds, one of the Marlborough Sounds. Looping back to complete the ride at the start point, a festival of wine, food and merriment kicks off. Enjoy the popular ‘100 Virgins Grape Crush’, sample some of the region’s finest wines and enjoy delicious local dishes from a pocket of New Zealand renowned for its produce. Access is easy from Australia, with daily flights into Wellington connecting with a short flight or scenic ferry trip over to Marlborough. Munda Biddi means ‘path through the forest’ in the Noongar Aboriginal language, and is a 1000km cycling trail leading riders from Mundaring, just north of Perth down to the rugged coastal town of Albany. A relatively new cycling route, the full end-to-end length of the trail was only officially opened in April 2013, taking riders on a magnificent adventure through coastal, forest and rural scenery. The ultimate ‘hop on, hop off’ adventure, cyclists make the Munda Biddi experience their own, joining the trail wherever suits them with convenient car access throughout points of the journey. 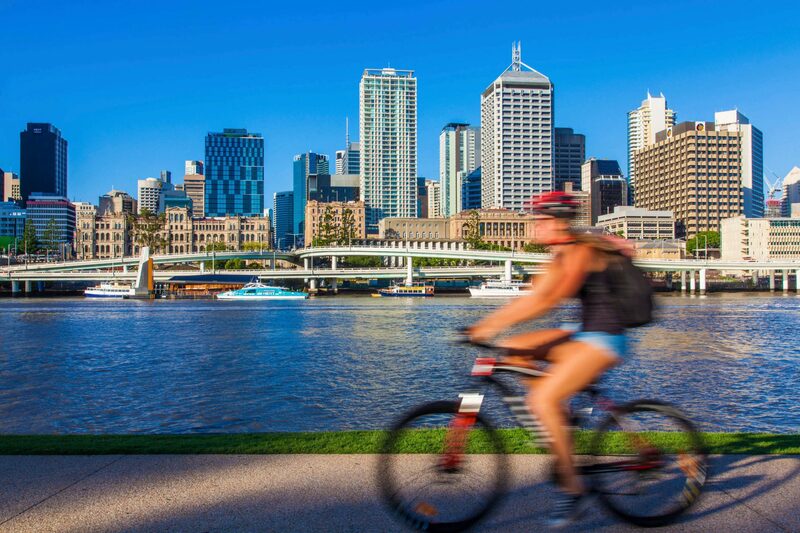 Cycle off-road through ancient bush land and towering eucalypt forests, immerse yourself in the unspoilt landscape and discover historic townships and thriving local industries. With roughly 45kms between towns or purpose built campsites, the trail is as well-suited for multiple day cycling adventures as single day rides. Preparation is an important part of any distance ride, ensure you check the trail condition report before setting off for current alerts or closures that may affect your safety on the ride. Lush Sikkim is India’s least populous state and a world of clean mountain air, plunging valleys and picturesque remote villages. Challenging cycling passes offer epic views of the snow-capped Himalayan peaks, quiet back roads wind past ancient Buddhist monasteries and descending paths take you down to Sikkim’s holiest lake. A land-locked state, Sikkim is bordered by Nepal, Tibet, Bhutan and West Bengal and was an independent kingdom until 1975. While growing in popularity as a tourist haunt, exploring Sikkim is still a world away from the heat and intensity of other parts of India and offers a peaceful, reflective alternative. Renowned for its rich tea history, Darjeeling, in neighbouring West Bengal, is included as a destination in some cycling tours. Sample the local brew at the plentiful plantations, take the historic local steam train and set the alarm early for the breathtaking sunrises over Kanchenjunga, the main peak of the Himalayas. Sikkim’s landscape is as colourful as its fluttering prayer flags and a chance to soak it up on a cycling tour is a wonderful way to see the countryside. Biking wild Connemara, a region on Ireland’s west coast, is about experiencing the untamed beauty and rugged nature of this evocative landscape. Part of the Gaeltacht, or Irish-speaking area, many of Connemara’s signs are in Gaelic which adds to the charm and authenticity of the adventure. Steeped in history, cycling tours will take you past Connemara’s longest running smokehouse, specialists in wild smoked salmon, and traditional Galway Hookers, fishing boats moored on Bertraghboy Bay. Sharing the road more often with local sheep than cars, you meander past looming mountain passes, alongside sweeping lakes and through remote moors and bogs. The best part about a day of activity is rewarding your efforts sampling the local cuisine, and Connemara doesn’t disappoint. After starting the day’s adventures with a hearty Irish breakfast, evenings noshing on fresh mussels and lobster, locally-caught wild salmon and Connemara lamb await, followed, as is only customary, with a few sips of creamy Guinness and a traditional Irish ‘craic’.